Amazon's Spring Sale is now in its second day, and after some great one-day deals yesterday in the UK, there are a few others today. 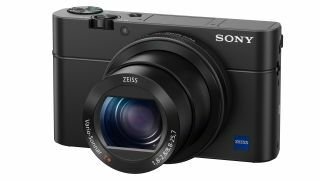 Our pick of the bunch is this offer on the Sony RX100 Mark IV luxury compact (model number DSCRX100M4). This is the perfect quality compact for the photographer who wants a pocket camera. And until midnight, the camera is at its best-ever UK price. Designed around a 20.1MP 1in CMOS sensor, the RX100 Mark IV offers photographers superb image quality in a body that can slip into a coat or jacket pocket. Its ZEISS optic boasts a focal range equivalent to the pro-favourite 24-70mm range in 35mm terms, and the f/1.8-2.8 maximum aperture is wide enough for use in low light, which means you won't have to crank up the ISO as much as you otherwise might. Inside its top plate hides an electronic viewfinder, one that springs up on demand through a catch at its side, while the LCD screen can be flipped all the way up for selfies and for vlogging. On top of that you get optical image stabilisation, 16fps burst shooting, built-in Wi-Fi and NFC and even an ND filter for both smooth long exposures and for shooting videos in bright light. On that subject, moving footage is capture at a maximum 4K resolution, with a range of slow-motion options alongside at a lower resolution, meaning that it's just at home when recording everyday moments as it is for something more considered. The RX100 Mark IV packs a raft of features inside its tiny body - offering a 20 megapixel one-inch sensor, and a stabilised 24-70mm f/1.8-2.8 Zeiss lens. It can shoot 4K video, but can also capture super slo-mo recordings thanks to its 1000 frame-per-second setting.